More Color & Number of Compartment Options Available! 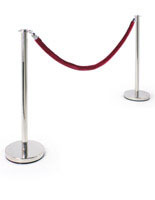 More Color & Number of Stanchion Options Available! More Device Capacity Options Available! More Belt Color & Hardware Color Options Available! 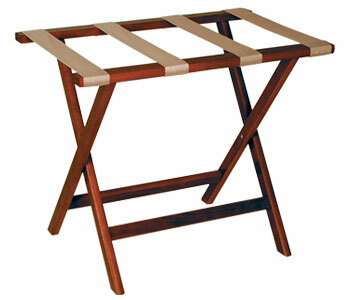 Need to furnish your building with the essentials? 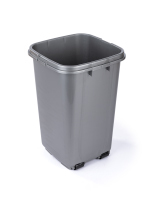 These facilities maintenance supplies are excellent for commercial enterprises that require crowd control, sanitation systems, and secure storage. Our catalog features hundreds of high quality fixtures that simplify tasks around the workplace. 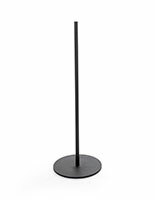 The facilities maintenance supplies are ideal for use across a wide range of industries — from warehouses and offices to everyday stores and restaurants, these fixtures will get the job done. 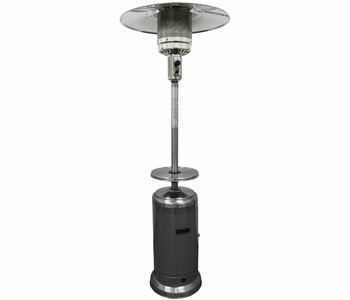 All of our utilities are made with high durability designs to last for years, no matter the environment. 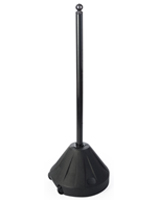 Shop our facilities maintenance supplies and benefit from quick shipping and wholesale pricing. 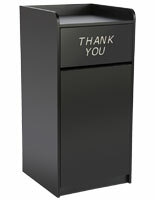 What problems does this workplace equipment solve? 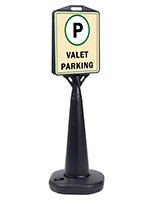 Safety – Our facilities maintenance equipment includes high visibility signage that directs both employees and visitors. 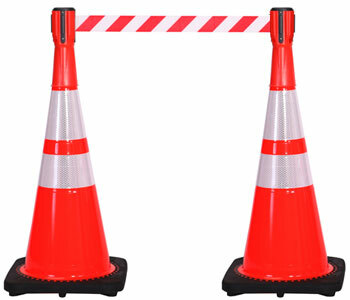 Stop signs, "Do not enter" displays, and traffic cones are ideal for increasing awareness in busy warehouses and parking lots. Whether the driver is operating a car, a forklift, or an 18-wheeler, these brightly colored fixtures will get their attention. These safety signs are made with weather-resistant materials for use outdoors as well as indoors. 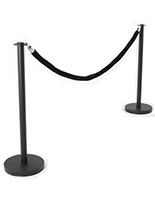 Crowd control – Stanchions make it easy to direct customers and form orderly lines. 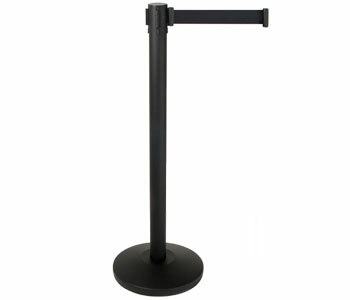 Posts with retractable belts feature a simple, professional appearance that looks great in banks, service organizations, and transportation terminals. 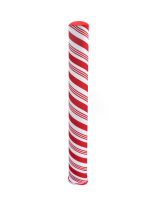 Poles with ropes have a more upscale design that matches hotels, car shows, and fancy restaurants. 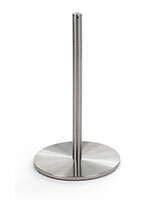 Café barriers create large barricades that are excellent for creating dining areas, inside or out. 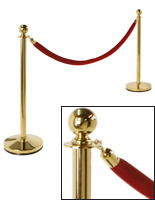 Our catalog of stanchions offers a lot of options, featuring a number of finishes, custom printed posts and belts, and pole-topping accessories. 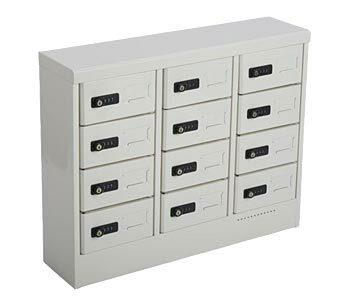 Security – Lockers are integral to creating a secure environment because they prevent theft and unauthorized entry. 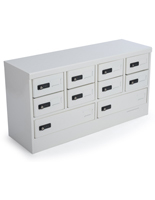 Large locking storage cabinets are the perfect way to store students' and workers' belongings. 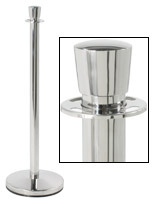 These are offered in tiered sets that save space with their compact design. 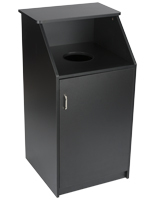 Key boxes are smaller, but are ideal for large buildings. 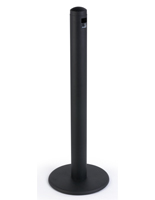 Hotels and apartment complexes use these units to control access to every room. 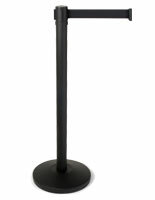 Floor standing models make great valet podiums, securely holding a large quantity of car keys and labels. 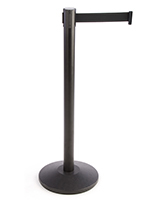 Locking phone charging cabinets securely power up devices behind resettable combination locks. 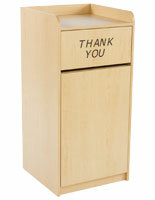 This is a great way to accommodate both customers and employees in the digital age. 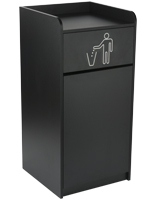 Sanitation – Where would businesses be without maintenance equipment for keeping everything clean? 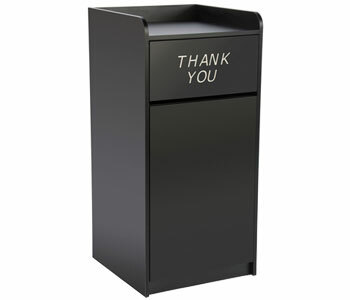 Our large selection of trash cans and recycling bins. 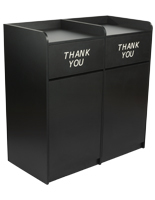 We offer large receptacles for outdoor environments that are made with weather resistant plastic as well as indoor models with attractive finishes. 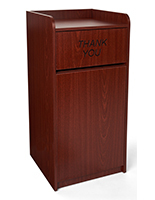 In addition, we have smoker's stations for safely collecting cigarette butts. Why stop there? 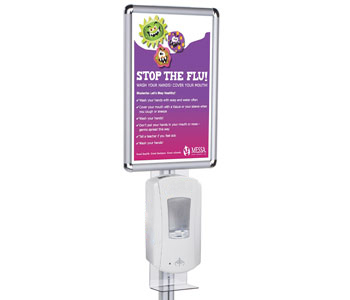 Hand sanitizer stations and mounts are perfect for getting people to start healthy habits. 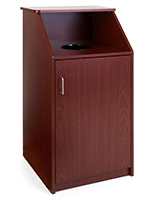 Touch-free dispensers are available as floor stands, countertop displays, and wall mounts. 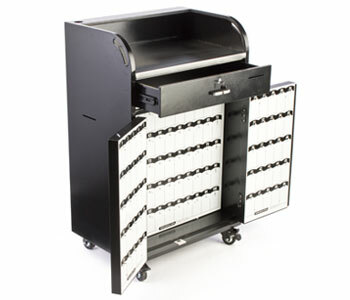 Logistics – Our business maintenance equipment also includes carts for service, cleaning, and moving supplies. These range from lightweight utility dollies to heavy-duty pushcarts that can even change shape to accommodate the cargo. 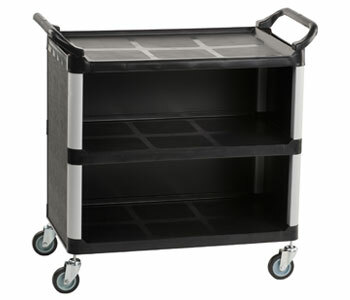 The lighter plastic carts are perfect for bus boys and janitors while the metal handcarts will take care of warehouse logistics. Maintenance equipment is the backbone of any business, doing many of the jobs that we don't think about. It's important to get durable and effective supplies, but it's just as important to use them right. 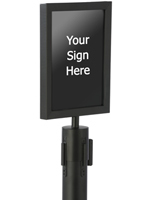 Ensure safe practices, not just by using high visibility signs, but by placing them in the right place so that they can't be missed. 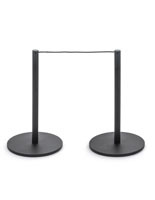 Form orderly lines with stanchions and minimize congestion. Our catalog features thousands of tools for helping businesses strive and grow, but only if they're used right.